When you hear the phrase “100 Calorie Snacks”, you probably think of those pre-packaged snacks of cookies or chips. Not only are those snacks lacking in taste, they are actually detrimental to your overall health. 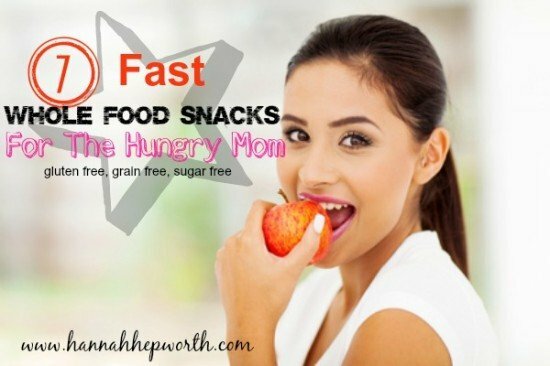 In this post, Cynthia reveals fifty different suggestions for real and healthy 100 calorie snacks that can be made in minutes! “You’ve probably seen the infamous “100 Calorie Snack Packs” lining the shelves of your supermarket. They’re everywhere! While they may be low in calories (which essentially has nothing to do with losing weight), they are extremely harmful to your waistline and overall health. Most often, they’re high in sugar, fat, chemical additives and preservatives and unhealthy carbs. After complaining about this clever food marketing tactic for way too long, I decided to create my own 100 calorie snacks that are ready to devour in minutes! No, I’m not manufacturing food products. You see, I don’t have to. Mother Nature has taken care of that for me. And while I don’t advocate counting calories, when you’re eating healthy, whole foods it can be a good way to keep portion sizes in check. These are some of the healthiest “snack packs” you’ll ever have the delight of tasting! Cynthia Pasquella helps women who are tired of losing and regaining weight discover the REAL reason dieting doesn't work for them and what to do instead so they can finally lose the weight for good and finally feel comfortable in their own body again.